Are You Right for a German Pinscher? ​There is nothing better than the company of a well socialised, obedient and content German Pinscher. However such companionship comes at a price. Individuals considering a German Pinscher as a companion must be willing and able to put the time, effort and dedication that will bring out the best in this breed. You may also have to wait to share your lives with a German Pinscher, as a Rare Breed few litters are planned and you will probably join a waiting list! German Pinschers thrive with loving, patient but firm and assertive owners who are willing to give them the regular exercise and obedience training they need. It is by no means an easy feat to be the right person for a German Pinscher but the unwavering loyalty, unconditional love and the daily laughs far outweigh the challenges of saying no to pleading brown eyes at the dinner table! 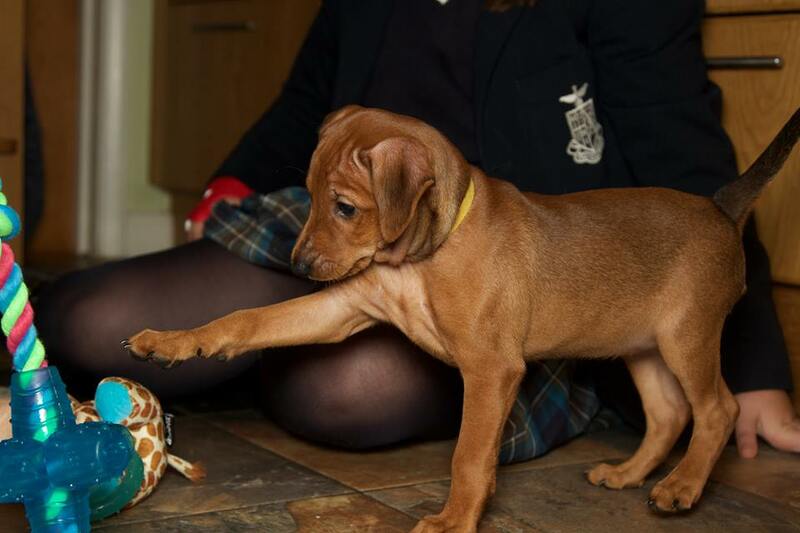 If you think you would like to share your home with a German Pinscher please read our Puppy Page and contact us, as a Club with over 35 years experience in the breed we will do an initial assessment and put you in touch with a Club Approved Breeder. Click Here to see our list of Approved Breeders. Thinking of Importing a Puppy?